Mr. Tiencken is an attorney located in Charleston, SC. His areas of practice include utility, environmental and corporate law. Mr. Tiencken attended the College of Charleston (B.A. 1975), the University of South Carolina School of Law (J.D. 1978), and Emory University (L.L.M. Taxation 1979). 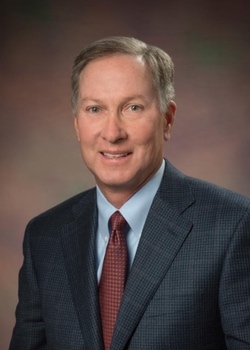 Mr. Tiencken has served as the Berkeley County, SC Attorney, the General Counsel of the South Carolina Public Service Authority (Santee Cooper) and President (2000-2004) of the Authority. He has served as a board member of the Palmetto Economic Development Corporation, the Energy Authority (Jacksonville, FL) and has been in numerous civic organizations, having served as the Chairman of the Coastal Community Foundation, the Berkeley County Historical Society and the Palmetto Conservation Foundation and acted as Campaign Chair for the Trident United Way Annual Campaign in 2002. He also served as a board member of the Gaylord and Dorothy Donnelley Foundation in Chicago, IL and as chair of the Bunnelle Foundation in Georgetown, SC. Representative clients include the Electric Cooperatives of South Carolina, the South Carolina Medical Malpractice Joint Underwriting Association, and Central Electric Power Cooperative, Inc. for which he now serves as General Counsel. Mr. Tiencken and his wife Pam, live on Daniel Island.